For hospitals, physician-owned entities, hospices, durable medical equipment (DME) manufacturers, and other entities in the healthcare industry, Zone Program Integrity Contractor (ZPIC) audits can often lead to drastic consequences. Not only can ZPIC audits lead to repayment demands from Medicare Administrative Contractors (MACs), but ZPICs and MACs can also refer healthcare providers to federal law enforcement authorities, such as the Department of Justice (DOJ) and the Office of Inspector General (OIG). These authorities have the jurisdiction to bring civil and criminal charges; in many cases what started out as a seemingly simple inquiry from a ZPIC investigator can lead to fines, monetary damages, denial of payment, loss of future Medicare eligibility, and even federal imprisonment. 1. Make Sure You Understand Which Type of Contractor is Conducting the Audit. Recovery Audit Contractor (RAC) – RACs are Medicare contractors that get paid on a contingency fee basis. This means that they have a financial incentive not only to conduct audits, but to find healthcare providers in violation for submitting improper or fraudulent billings. Medicare Administrative Contractor (MAC) – MACs are Medicare contractors that have the authority to audit certain specific types of claims, including claims under Medicare Part A and Part B. MACs have broad discretion to review Medicare reimbursement claims and can prevent payment of submitted claims. Comprehensive Error Rate Testing (CERT) Contractor – CERT contractors work in conjunction with MACs and are tasked with selecting Medicare reimbursement claims for MACs to review. Finally, beyond these major categories of Medicare contractors, there are a number of other contractors involved in CMS’s “Fee-For-Service” (FFS) Medicare recovery program, as well. You can see more of these contractors on CMS’s website. 2. Know Your Rights When Facing a Medicare Contractor Audit. While ZPICs and other Medicare contractors work for the government, they are not government agencies. As a result, their powers are limited, and it is important for healthcare providers facing audits to understand what Medicare contractors are – and aren’t – allowed to do. 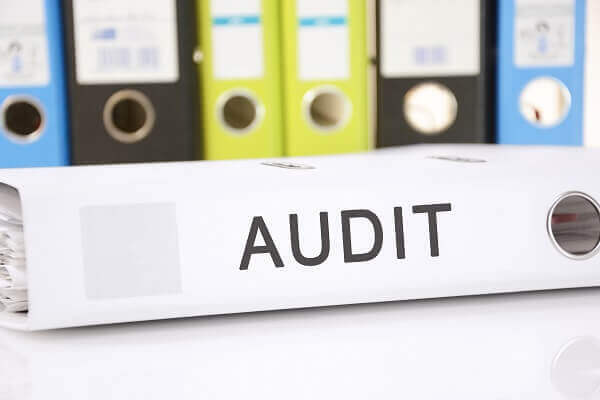 All healthcare providers are entitled to legal representation during the audit process, and by hiring an attorney at the first sign of a potential audit, providers can often prevent the damaging consequences that would otherwise flow from an invasive Medicare contractor investigation. 3. Understand How Medicare Contractors and Government Enforcement Agencies Work Together. CERT investigations can lead to MAC audits, MACs can refer cases to ZPICs, and ZPIC audits will often lead to MAC-imposed denials of payment. In addition, prior RAC, ZPIC, and MAC audits can increase providers’ chances of being audited again in the future, and all Medicare contractors can refer providers to federal authorities for civil or criminal prosecution. If this sounds complicated, that is because it is. The FFS program is extraordinarily complex, and it is not unusual for individual providers to face audits and investigations from numerous Medicare contractors. As a result, when facing an audit, healthcare providers must be extremely careful about what their employees say and the records they disclose. What seems like an isolated inquiry could be a part of a much larger investigation, and information disclosed to one contractor could end up being used by another contractor or provided to CMS, OIG or the DOJ. 4. Understand What is at Stake if You do Nothing. 5. Be Prepared to Defend Against Allegations of Improper and Fraudulent Medicare Billings. Knowing that you can expect the Medicare contractor(s) involved in your audit to find some reason to seek reimbursement or deny payment, it is important to be prepared to defend your billing records, policies, and procedures. From asserting statutory safe harbors to challenging auditors’ methodologies and knowledge of the relevant Medicare billing regulations, there are numerous ways to prevent Medicare contractor audits from leading to financial consequences (or worse). Oftentimes, investigators will not be up-to-date on the latest amendments to the Medicare rules, or they may seek to apply current rules to billings that occurred in the past. Or, they may simply not understand the law as well as they should. Regardless of the circumstances, healthcare providers should never assume that Medicare contractors’ methods or conclusions are sound, and they should take an active role in the audit process early to prevent misguided investigations from getting out of hand. After an unfavorable audit, a healthcare provider facing financial penalties or pre-payment review can appeal the auditor’s determination. Remember, Medicare contractors are not the government, and as a result they do not have final authority over healthcare providers’ legal rights and responsibilities. Appealing a ZPIC or other Medicare contractor audit determination can be a frustrating process. With respect to ZPIC audits, there are five stages of appeals, and the first two involve appeals to other Medicare contractors. However, with all that is at stake, pushing through the appeals process can be well worth the time and energy when the law is on the provider’s side. With all that is involved in facing a Medicare contractor audit, healthcare providers are well-advised to seek experienced legal representation beginning at the earliest stages of the process. As a result, if your business or facility has been contacted by anyone from a ZPIC, MAC, RAC, CERT or other Medicare contractor, you should consult with an attorney promptly. Government Experience – Many of our attorneys are former federal prosecutors who used to prosecute healthcare providers suspected of Medicare fraud. As a result, we know the system inside and out, and we are able to develop effective defense strategies that take into account the government’s legal position on key issues. A Track Record of Success – In addition to representing clients in Medicare contractor audits and appeals, a significant portion of our practice is devoted to representing clients in federal government investigations. We have resolved the majority of our clients’ cases with no civil or criminal charges. Healthcare Law Focus – As a healthcare fraud defense law firm, we are committed to representing clients in Medicare contractor audits, investigations, and civil and criminal prosecutions. Our attorneys deal with Medicare issues every day, and we are on the forefront of healthcare law compliance. Schedule a Confidential Consultation at Oberheiden, P.C. If you are facing a Medicare contractor audit and would like to speak with an experienced healthcare fraud defense attorney, contact the Oberheiden, P.C.. For a free and confidential consultation, call us 24/7 at (888) 705-5902 or request an appointment online today. OIG: Hospices Must Improve Medicare Compliance Is Your Home Health Agency Being Targeted in a ZPIC Audit?